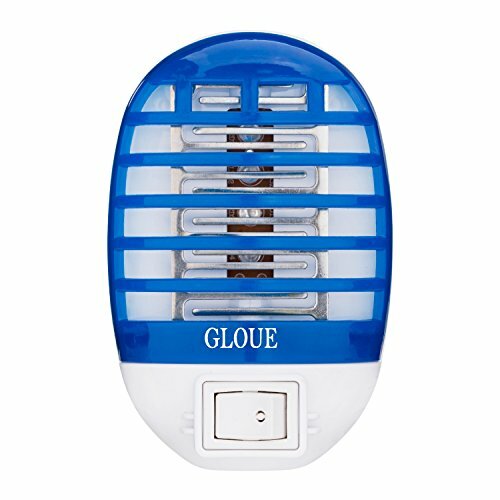 The GLOUE Bug Zapper Electronic Insect Killer represents one of the best discrete options for in-home use. This device is capable of eliminating insects and mosquitos and it comes with a simple design which makes it easy to use even to those who are new to the technology. 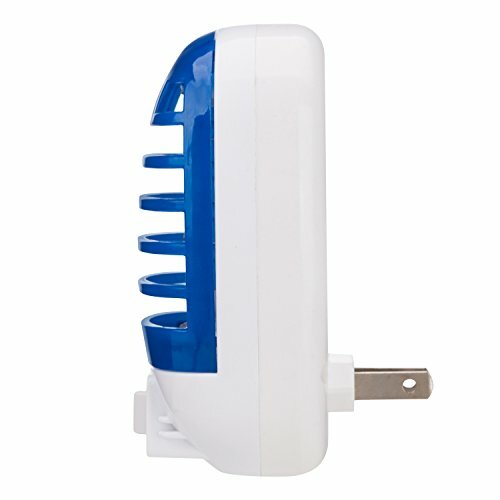 And make sure to check out the best electric swatters to complement the compact, Gloue wall zapper; that way you can easily kill any insects that manage to get past the first line of defence! The device works by attracting insects using the built-in light. It then instantly kills them leaving your room insect-free. With a capacity which can cover rooms of up to 16 feet, the device represents one of the best options for users who want to ensure a quality nights sleep. It’s also worth noting that the zapper will continue to work during the daytime if plugged-in, which in our opinion makes it worth operating 24 hours a day to maximise the elimination capability of the device before you even get into bed. The zapper offers one of the simplest approaches when it comes to finding a device which will work simply without any complicated settings. The only button on the device is the power button. 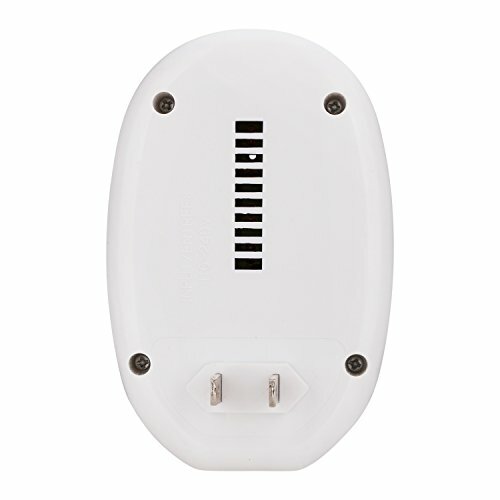 This will ensure that you can leave it plugged into the wall even when it is not functioning. The zapper uses a simple light technology to attract insects such as mosquitoes and kills them instantly. One of the main concerns of new users comes with maintenance. While this is a legitimate concern, you will be able to clean the zapper daily to ensure there is a clean environment in your room. 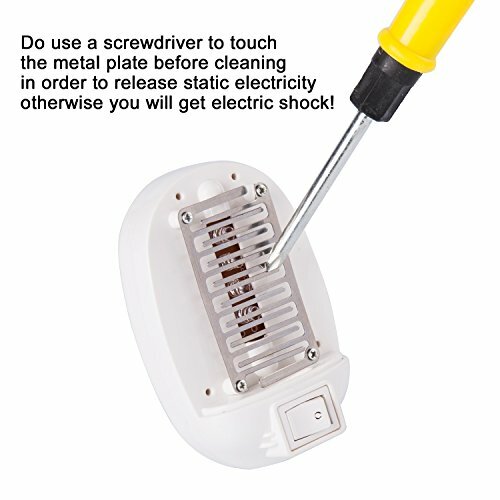 To clean the zapper and access the removable cleaning tray, you will need to touch the front metal panel with a screwdriver for electric discharge and safety reasons. Once you have touched the panel you will be able to access the cleaning tray to clean the device of any killed insects over-night. The zapper comes with a capacity which can cover up to 16 feet. If you have a larger room to eliminate mosquitoes from you will need to purchase multiple devices. And if you require greater flexibility and coverage, it’s worth your time to check out some of the larger hybrid devices that combine UV with CO2. On the other hand, the zapper will work at a better rate in smaller rooms where the light is more attractive to mosquitoes. This makes the zapper a top option for bedrooms and the best news is that you can even use in the kids’ bedroom as it will not use any harmful chemicals. It thus represents a solid alternative to sprays and other solutions that use chemicals to eliminate insects. For safety reasons, you will need to keep the device out of the reach of children. Thus, you will be advised to plug it into a wall socket which is a level where kids can’t reach. The zapper will prove to be an efficient solution which also doesn’t need too much electricity. You will thus be able to keep it running for the whole day and for the whole duration of the night without worrying about electricity costs. Improving the comfort in your home is something we can all relate to. But this is not as easy as it might look, especially if you don’t have the right tools. Ridding the various rooms in your home of unwanted flying critters should be top of your list of things to do. Especially with the threat of diseases spread by mosquitos, you need to protect yourself and most importantly your family from these airborne pests. In many cases, this may even mean that you have to balance performance with safety, especially if you have children. This is why moving from the classic spray which can come with harmful chemicals which can be inhaled by children, a zapper can represent a better option which may even offer an improved performance. The GLOUE device uses a simple light technology that acts like a magnet to attract various insects and flies and kills them instantly. And since it connects to a wall instead of working on batteries, it will also ensure there is enough power to keep it working at the maximum level all the time. The device was made to run up to 24 hours per day and this means that its durability is also impressive. Complicated settings and a step by step guide not required. Just plug the zapper into the wall and let it do its job. COMPACT SHAPE：3.7x2.55x2.36 inches small size, it's very easy to carry and use, whether in your house, in motor homes, or in a hotel. It does not take up much space in your suitcase. Due to its size the effective coverage is about 16 square meters. CHEMICAL-FREE: No more pesticides or potentially harmful sprays. Get rid of mosquitoes fast without sticky, messy poisons or sprays. Great for places where pesticides can't be sprayed like kitchens and hospitals. EASY INSECT DISPOSAL: To clean dead mosquitoes, ensure the unit is unplugged from an electrical outlet and then use a screwdriver to touch the metal plate for static electricity release. Remove the lid and clean mosquitoes or gnats with tissue or a small brush. 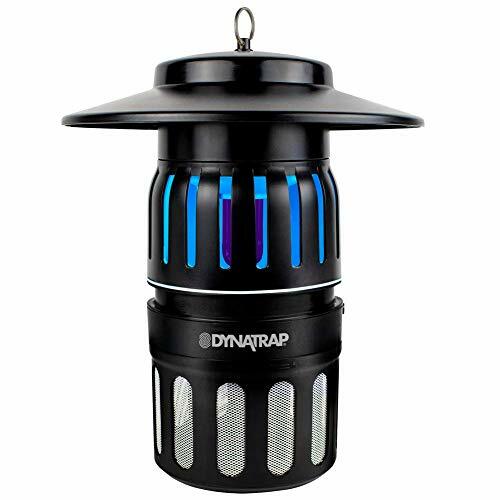 AT NIGHT: its LED lights can effectively attract mosquitoes and small flying gnats. Mosquitoes eradication become very effective and can prevent you from mosquito bites. It just makes small noise which would not disturb your sweet dream.